With art, culture, monuments and monkeys, Ubud is a land of mystical wonder and an essential for any luxury traveler. One of the best ways to enjoy the stunning topography and scenery of this beautiful part of the world is with a leisurely downhill (mostly) cycle ride. There are many cycle tours available for those wanting to explore the paddy fields and mountainous peaks. My favourite tour takes the small group of riders to the foggy peak of Kintamani which overlooks the mesmerising Lake Batur. The leisurely ride back to your hotel gives you some fantastic opportunities to eat local cuisine and meet and chat with many of the friendly locals. The tour guides are knowledgable and the whole experience gives you a great introduction to life in Ubud. Ubud has some of the oldest architecture in Indonesia and Ubud is noted for being the spiritual heart of Bali. Some of the most ancient temples date back to the eighth century. 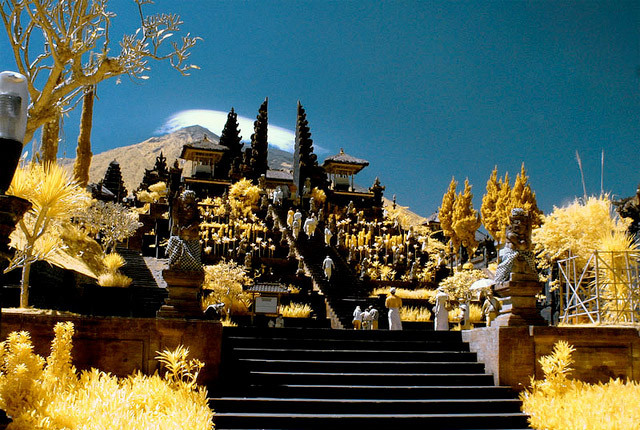 If you like your temples on the large side then a must see would be the Pura Besakih or Mother Temple which is not only one of the largest but also the most sacred. Comprising of over twenty temples within seven terraces the site is a maze of stairs and courtyards with numerous nooks that house hidden shrines and altars. If you manage to reach the top temple, the vistas are truly breathtaking and give you a sense of calm serenity as well as making it easier to map your exit path through the labyrinth below. Most of us have wanted to cuddle a monkey at some point. If you are one of the many, why not visit the Sacred Monkey Forest. 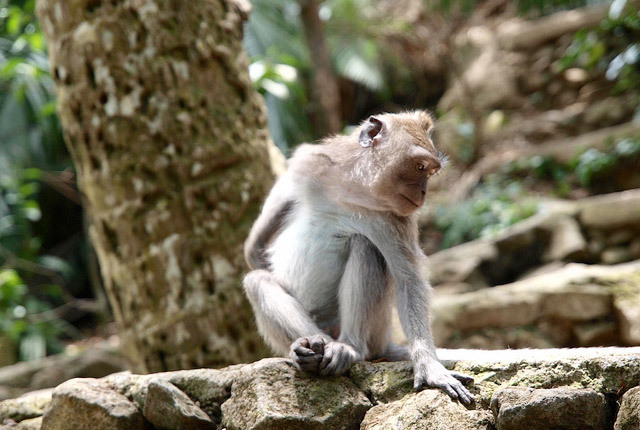 This fantastic temple complex is home to over 600 friendly long tailed macaques and visitors can not only feed them and get up close and personal to satisfy that urge to give one a great big hug. The visit will also educate you as the tour guides are highly professional and make learning about the inhabitants great fun. In order to fully immerse yourself in the Balinese culture then I would recommend taking in one of the fascinating and intriguing traditional dances. 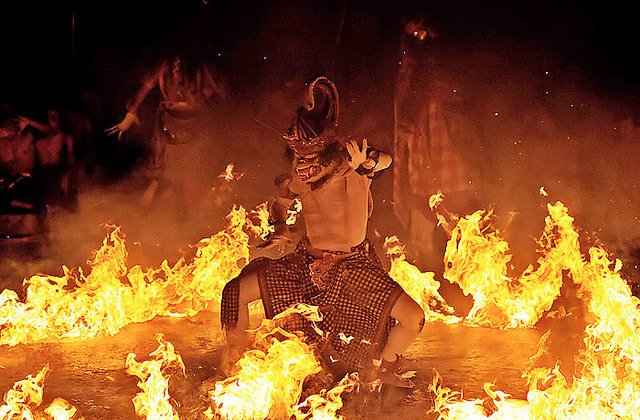 The Kecak Dance tells the story of Rama and Sita, where Prince Rama takes on the might of the King of Lanka to save the young princess Sita. The dance involves a mesmerising show of fire, drums and bare chested men beating rhythmically and shouting at the dancers. A truly extraordinary display that will stay with you forever.